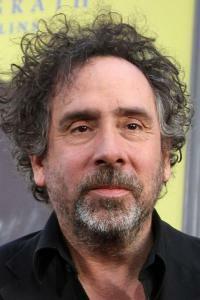 Tim Burton is 5' 11½" (1.82 m) and is an American film director, film producer, poet, writer and stop motion artist from 1972 to present. His birth name is Timothy Walter Burton and was born on August 25, 1958 in Burbank, California, USA. He was born to mother Jean Burton and father Bill Burton. His mother owned a gift shop that had a cat theme, and his father was a minor league baseball player who later work for the Burbank Park and Recreation Department. He enjoyed filmmaking at a young age. He would make short films in his backyard by shooting them on 8mm film without sound and using crude stop motion animation techniques. He was 13 years old when he made The Island of Doctor Agor which is now his oldest juvenile film. He was not a good student while studying at Burbank High School, but very artistic. He graduated from Burbank High school and study character animation at California Institute of the Arts in Santa Clarita, California. He made Stalk of the Celery Monster and King and Octopus as a student in CalArts in college. Walt Disney Productions' animation liked Stalk of the Celery Monster and offered the young Tim Burton to be an apprentice at the Disney Studios. He worked as a concept artist on The Fox and the Hound, The Black Cauldron and Tron. He worked for Disney for less than a year because his ideas and personal style clashed with Disney’s style, so he began working by himself. He is best known for fantasy films and dark horror movies such as Corpse Bride, Sweeney Todd: The Demon Barber of Fleet Street, Batman Returns, Charlie and the Chocolate Factory, Alice in Wonderland, Pee-wee's Big Adventure, The Nightmare Before Christmas, Edward Scissorhands, Sleepy Hollow, Dark Shadows, Batman, Beetlejuice, Ed Wood, Frankenweenie and Planet of the Apes. He was married to German born artist Lena Gieseke from February 24, 1989 to December 31, 1991. He left Lena to live with actress and model Lisa Marie Smith from 1991 to 2001. He never remarried and Lisa acted in Tim’s films (Ed Wood, Mars Attacks!, Sleepy Hollow and Planet of the Apes) during their relationship. He now lives with domestic partner, English actress Helena Bonham Carter since 2001. He met Helena while filming Planet of the Apes. Helena has been seen in many of Tim’s movies. Helena and Tim have two children together. Their son Billy Raymond was born in 2003 and they named him after Tim’s and Helena's fathers. Their daughter named Nell was born in 2007. Tim and actor Johnny Depp have worked together on many films and became good friends when they did their first film together. Johnny Depp is a godfather of both of Burton's children. Johnny Depp said "What more can I say about him? He is a brother, a friend, my godson's father. He is a unique and brave soul, someone that I would go to the ends of the earth for, and I know, full and well, he would do the same for me." He has over 700 paintings, drawings, and other artwork at New York City's Museum of Modern Art in 2009 and 2010.